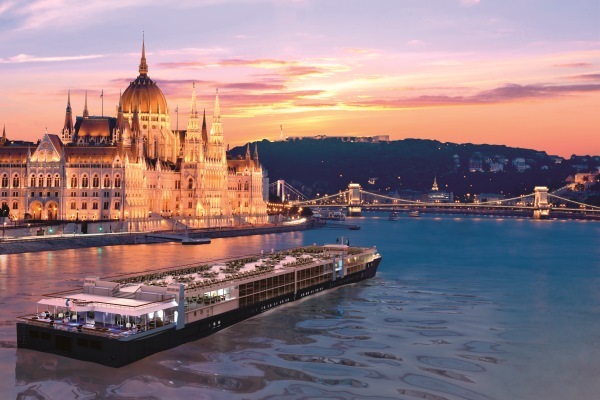 From summer 2020, the world’s leading tour operator will be expanding into the river cruise industry following the purchase of three passenger ships. The move comes as TUI continues its pledge of offering customers even more choice, flexibility and an unrivalled level of service. Similar to the fantastic atmosphere onboard TUI’s ocean cruises, TUI River Cruises will ensure there’s a perfect atmosphere whatever the occasion. The ships will offer chic and revamped spaces perfect for relaxing and watching the world go by, romantic á la carte dinners for two, casual dining and social spaces to enjoy with friends as well as some of TUI’s world-class entertainment. Travellers will also benefit from some of the extras customers have grown to know and love with a Marella Cruises holiday, such as tips and service charges included in the price and the reassurance of TUI’s expert support line available 24 hours a day. Chris Hackney, Managing Director of Cruise for TUI UK & I said: “We’re incredibly excited to be moving into the river cruise market, we’re always looking for new opportunities to offer our customers even more variety when it comes to choosing the perfect holiday and our river cruises will really take this to the next level as customers are able to personalise their package whether that’s board type, cabins, excursions and even cocktail choice. TUI UK and Ireland has a team of more than 10,000 employees and serves over six million customers each year. As part of TUI Group, it is the business behind the TUI, First Choice, Marella Cruises and TUI River Cruises brands, as well as Crystal Ski Holidays and TUI Lakes & Mountains. Sub-brands include TUI Sensatori, TUI Family Life, TUI Sensimar, First Choice Holiday Villages and SplashWorld Resorts.